Guyana Goldfields published results from its fourth quarter 2018 brownfield surface exploration drilling campaign at the Aurora gold mine in Guyana. During the quarter, the company completed 5,527m of core in 34 diamond drill holes on targets at Aleck Hill, North Aleck Hill, Mad Kiss, West Mad Kiss, East Walcott and Walcott Hill, it stated. Results from the Aleck Hill target included 40.8g/t over 15.9m from 76.1m downhole, while results from the Mad Kiss target included 7.8g/t over 9.5m from 13.2m downhole. Cabral Gold published an update on its initial drilling program, as well as assay results from rock chip and auger drilling sampling of the Quebra Bunda target at the Cuiú Cuiú gold project in Brazil. 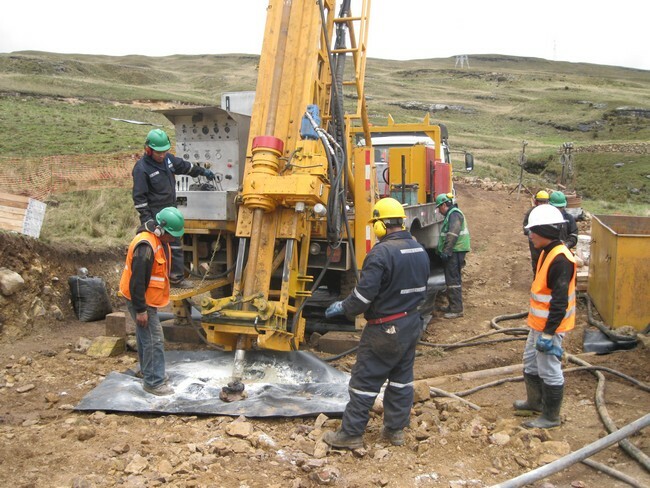 Six diamond drill holes have so far been completed on the initial high-grade Machichie target at Cuiú Cuiú. Results are pending, the company in a release. A composite rock chip sample returned 3,727g/t gold from a shear zone at the Quebra Bunda target. Furthermore, the company said that an exploration budget of US$6.75mn has been approved for 2019. The program consists of three phases of activity and an estimated 30,000m of combined surface and underground drilling. Continental Gold published additional high-grade assay results from 12 holes drilled into the Yaraguá system as part of the drilling program at its Buriticá project in Antioquia, Colombia. The highest grade intercept includes 19.90m grading 89.08g/t gold equivalent, including an interval of 0.50m grading a "spectacular" 3,194.51g/t gold equivalent, the firm said. Other results include 40.6m grading 16.64g/t gold equivalent from one hole and another hole that intersected 15.65m grading 15.51g/t gold equivalent. Amarillo Gold provided an update of results from its recently concluded in-fill drilling program at its Mara Rosa open pit gold project in Brazil. A total of 13,929m of diamond drilling from 46 holes has been completed to date, the company announced. Amarillo has completed the in-fill core drilling and has commissioned Australian Exploration Field Services (AEFS) to provide a resource update for the Posse Gold deposit to be used in the feasibility study, which began in January 2019.